Manchester United kept their top-four hopes alive with a hard-fought victory over an impressive West Ham at Old Trafford. Ole Gunnar Solskjaer’s team had fallen at home to Barcelona in the Champions League only three days before, but they earned an early lead when Paul Pogba converted from the spot after Juan Mata had been fouled in the West Ham area. The visitors were the better team for long periods, however, and found a deserved equaliser when Manuel Lanzini crossed for Felipe Anderson to finish past David de Gea early in the second half. 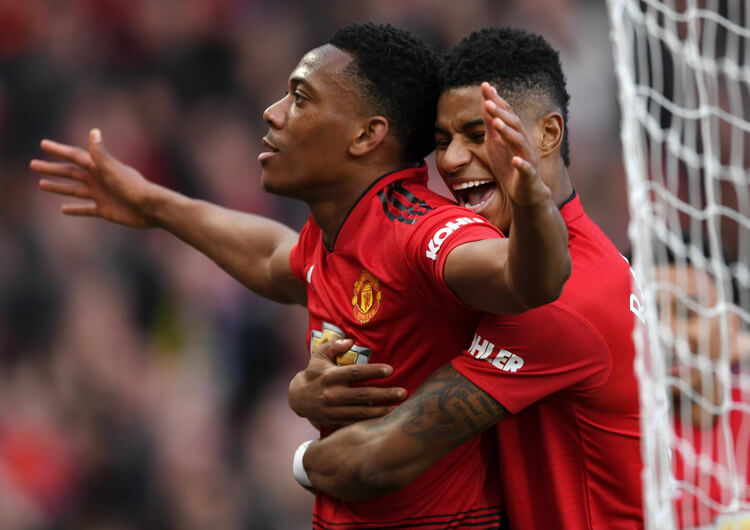 The Hammers pushed for all three points, but left themselves open to the counter-attack – and it was from one such move that Anthony Martial drew the foul that gifted Pogba a second spot-kick of the match. The Frenchman finished confidently to win his team a crucial three points in the battle for the Champions League places, while West Ham remain just outside the top half. Ole Gunnar Solskjaer set Manchester United up in a 4-2-3-1 structure when in possession, with Paul Pogba and Fred as the double pivot and Juan Mata playing as a number 10 behind Romelu Lukaku. The hosts targeted quick central transitions in the opening exchanges, with Jesse Lingard drifting inside from his starting position on the right. 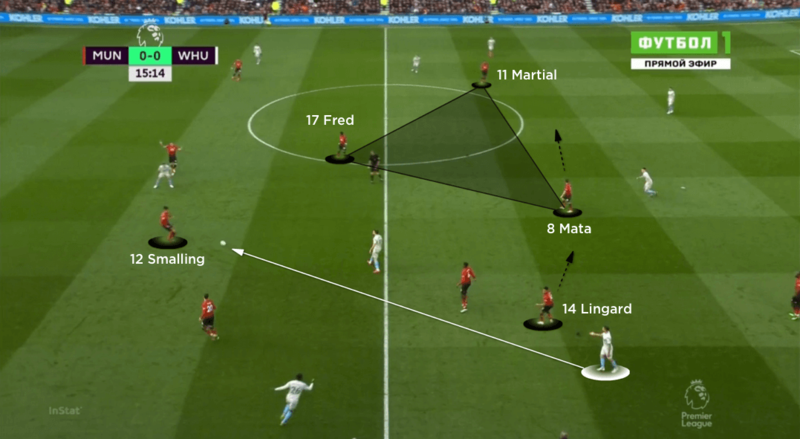 As West Ham targeted the wide areas in possession, United often found themselves able to drive forward through the central lane after a regain. 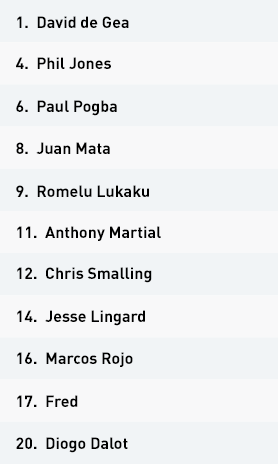 With Lingard moving infield, right-back Diogo Dalot pushed higher to provide crossing opportunities; Anthony Martial did likewise on the left. The hosts took the lead through a Pogba penalty after Mata was adjudged to have been fouled in the Hammers’ box, after which the visitors dropped deeper to lessen the United threat on the counter. The hosts enjoyed longer spells in possession as a result, but at a slower tempo – and as the half wore on West Ham took a more proactive attacking approach that forced United to drop men behind the ball. 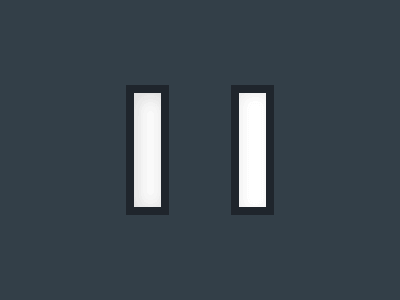 This naturally reduced the quality of their attacking transitions. 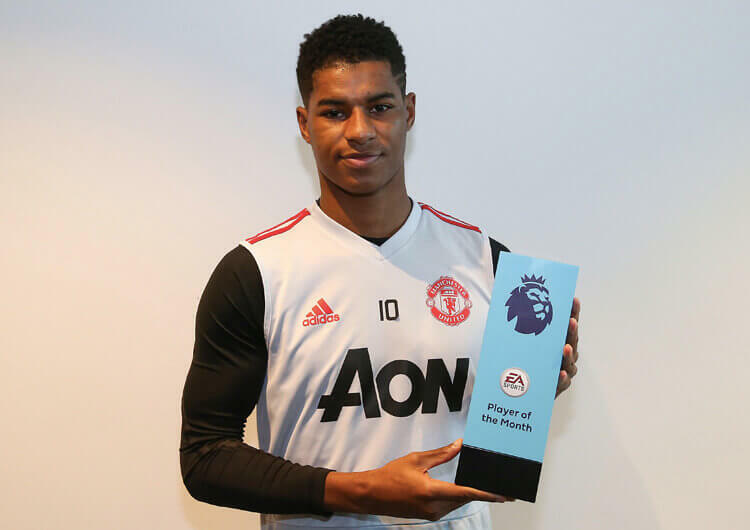 Ole Gunnar Solskjaer turned to Marcus Rashford early in the second half, with West Ham’s dominance in possession still forcing United to attack only on the counter. 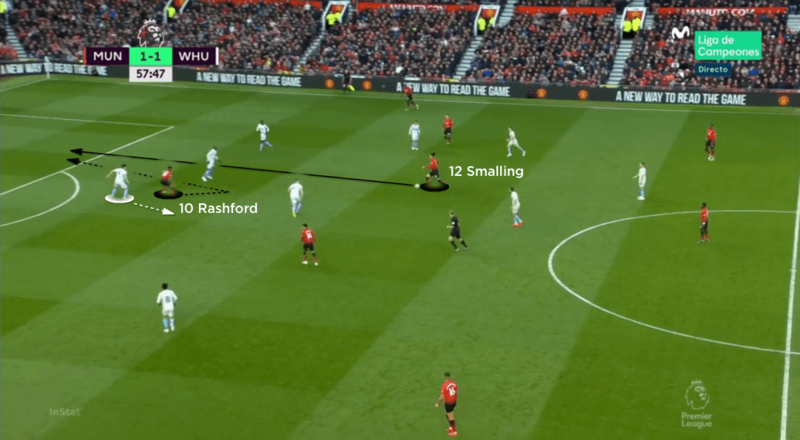 Rashford’s movements to receive in behind gave the hosts much more penetrative potential, and as the visitors went after the win United enjoyed much more threat during moments of transition. It was from one lightning break that Martial drew the foul that earned the hosts their second penalty of the game; Pogba duly stepped up to power home the winner. Out of possession, United utilised a narrow 4-3-3 mid-block. 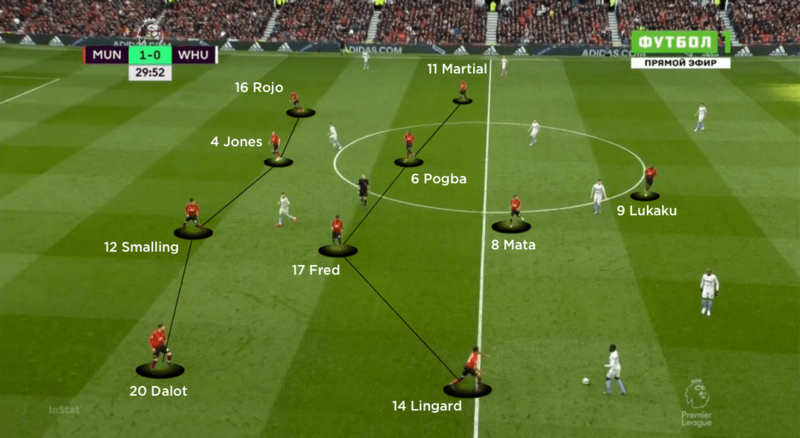 The midfield trio of Fred, Pogba and Mata remained very narrow, which protected central areas but gave West Ham’s wingers more time and space on the ball out wide. To counter this, and with the visitors’ full-backs also pushing forward, United dropped into more of a 4-4-1-1 shape, with Martial and Lingard dropping back into wide areas outside Fred and Pogba.  This did give the hosts a chance to get in behind the West Ham full-backs in transition, but with their wide attackers now deeper it required Lukaku to make those runs – and that inevitably meant less of a central presence for any subsequent balls in. Having conceded early in the second half, United continued to struggle with the attacking width provided by West Ham’s wingers. This stretched the home midfield and left Fred and Pogba vulnerable against runners from deep. After the introduction of Rashford, however, United reverted to their original 4-3-3 shape off the ball but left the front line higher. This forced the West Ham full-backs deeper, which in turn reduced the visitors’ threat as United held out for a crucial three points. West Ham’s commitment to attacking in wide areas gave Manchester United the chance to attack the central lane in transition. Jesse Lingard’s movements inside, from his starting position on the right in a 4-2-3-1 formation, added extra central threat. The hosts initially set up in a narrow 4-3-3 defensive shape, but responded to the visitors’ threat in wide areas – from both wide attackers and full-backs – by dropping Lingard and Anthony Martial into a 4-4-1-1 mid-block. The second-half introduction of Marcus Rashford gave the hosts more penetrative movements, as his direct runs created more moments to attack the spaces in behind the West Ham defence. 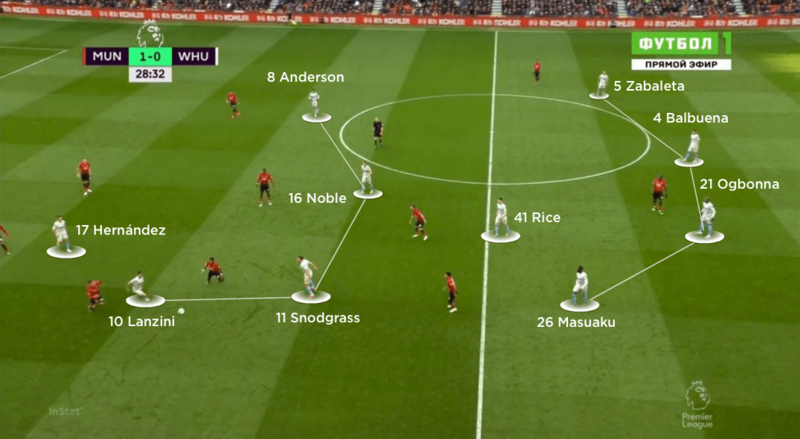 West Ham set up in a 4-3-3 formation, with their combinations in wide areas dragging the Manchester United defence out of shape and creating space for their numerous runners from midfield. However, this left single pivot Declan Rice isolated in blocking off the entire central lane behind them. The visitors eventually dropped into a 4-1-4-1 mid-block out of possession, nullifying any central transitional play from the hosts, yet still having players high to press the ball. The quality and width of Felipe Anderson and Manuel Lanzini, with support from one of Robert Snodgrass or Mark Noble in the second period, meant West Ham could keep more players behind the ball when attacking. 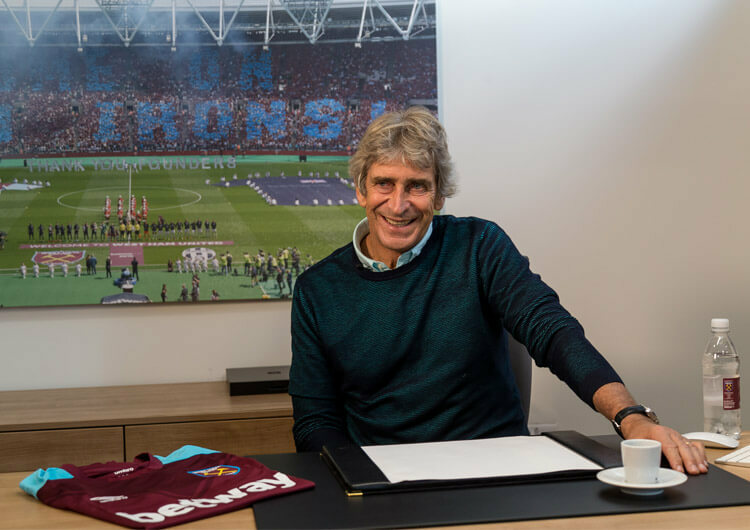 Manuel Pellegrini set West Ham up in an attacking 4-3-3 formation, with Declan Rice sitting behind Mark Noble and Robert Snodgrass in midfield. Felipe Anderson and Manuel Lanzini supported Javier Hernandez in attack, and enjoyed plenty of early success against Manchester United’s narrow midfield – Anderson was unlucky to see his early goal ruled out for offside. The inclusion of Snodgrass in midfield enhanced the visitors’ crossing play, as his wider position as a central midfielder helped create overloads against the United full-backs. 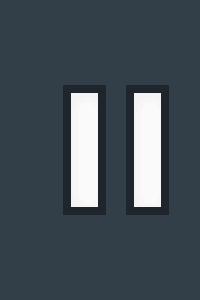 Should either a central midfielder or wide midfielder come across to help, West Ham then pushed their full-backs forward to maintain the overload. The visitors also had plenty of runners into the penalty area, as Chris Smalling and Phil Jones came under some pressure at the heart of the United defence. 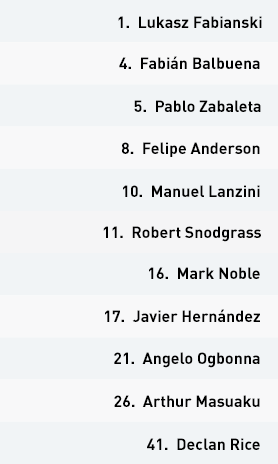 Having gone a goal down to Paul Pogba’s first penalty of the game, the Hammers pushed full-backs Arthur Masuaku and Pablo Zabaleta higher; Snodgrass moved into a more central number 10 position, with Noble dropping deeper to join Rice as a double pivot in a 4-2-3-1. Their continued threat from out wide eventually led to an equaliser early in the second half, as Lanzini capitalised on confusion between David de Gea and Pogba to cross for Anderson to beat the United keeper from close range. With Lanzini and Anderson staying wide and stretching the United midfield, central runs from Snodgrass and Noble dragged the hosts’ centre-backs and double pivot out of position – but injury to Lanzini just past the hour robbed the Hammers of their main creative spark and forced them to commit more numbers forward if they were to attack with the same threat. Substitute Michail Antonio did crash an effort against the bar soon after coming on, and had a header saved superbly by David de Gea, but these misses came at a cost when United won the late penalty from which Pogba scored the winner. Out of possession, the Hammers’ attacking approach in wide areas gave their opponents room to counter-attack in central areas. Forward runs from Noble and Snodgrass meant that Declan Rice was often left alone to screen the entire central lane; the young England international often selected to screen lone United forward Romelu Lukaku, who looked to move towards the ball as an extra passing option on the break. Once the Hammers settle into a mid-block, their 4-1-4-1 structure nullified most of the hosts’ attacking progress – and they were unlucky to fall behind when Snodgrass was adjudged to have brought down Juan Mata for United’s opener from the penalty spot. 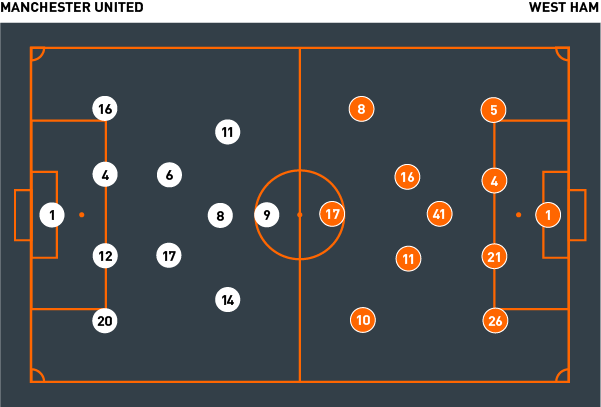 The subsequent switch to a 4-2-3-1 worked both to push the hosts’ wide attackers deeper and close up central areas, with Noble now alongside Rice in midfield. This structure enabled the visitors to dominate possession and rarely look troubled in defence for much of the remainder of the game. 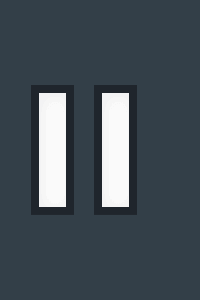 Only when Lanzini departed and they had to commit more men forward in attack did they open themselves up to being exposed in defensive transition. In the end, having conceded a second penalty, the Hammers were unlucky to lose a game in which they were the better team for long periods.